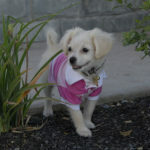 Your small dog just loves going outside…and sometimes she loves to laze around in the house. What are some ways of making sure she can have the best of both worlds? 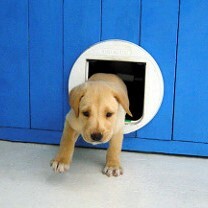 Sometimes when you have a small or medium size dog it can seem as if your furry friend has a door wish. That is if he’s inside, he’s standing alert at the door ready for you to set him free into the world of sunshine and fresh air or he is wistfully staring in at you from whatever window he can spy you from with mournfully brown eyes. Worse, he might be intently scratching all the paint off the lower panels of the back door. 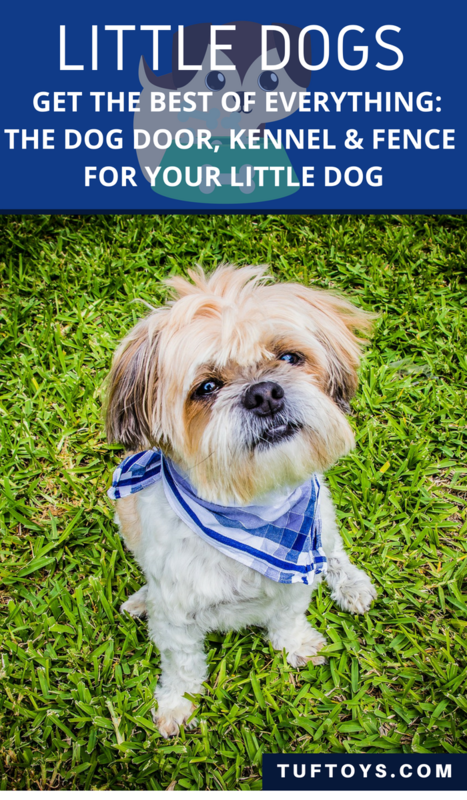 Your little pal’s frustration is understandable since, after all, you’re the one who insists he does his business in the grass outside instead of on the carpet behind the couch. What both of you need is a small dog door so your best friend can have some independence. 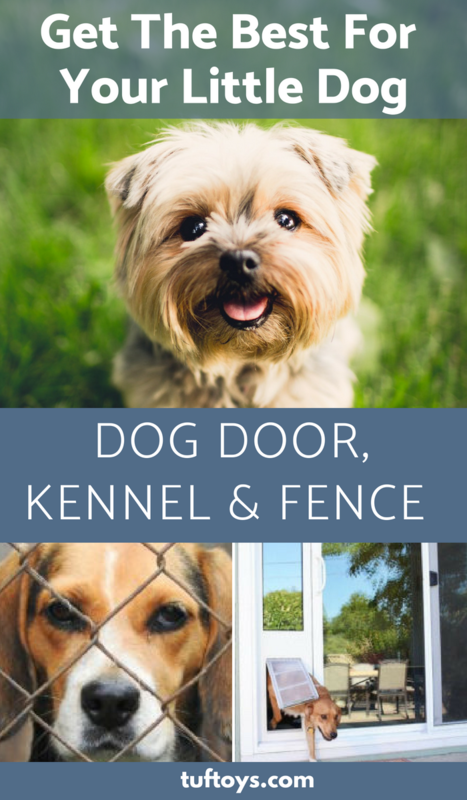 If you have an enclosed yard and feel confident about your pet being able to go outside without your immediate supervision a small dog door might be your best solution. A small dog door can be installed in your door or even in a wall and will allow your pet to exit or enter your home without the need for human assistance. The most common installation is the wooden flap pet entrance, but in fact, pet doors can be mounted on metal, aluminum panels or even glass doors. Of course, if you feel uncomfortable working with any material other than wood then you might consider purchasing a wooden door or panels for the entrance you want to use. Deciding which of your doors to use for the mount is a matter of which exit or entrance is best for your dog. For example, if your dog is older or has very short legs you might not want to use an entrance that requires climbing steps if possible. Most licensed carpenters or home repair technicians can help you install your door, but if you want to tackle this job on your own with the assistance of a friend or family member then start by considering the shape of your dog. 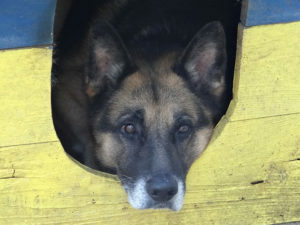 You want the door to be high and wide enough for the dog to be able to get in and out with ease, but not so big that anything larger could make use of it. The simplest way to install the door yourself is to purchase a kit which will provide you with the instructions, a cutting template, the door, hinges, and frame. You will need tape to measure the door, a saw, drill, and a pen to mark where the flap will be placed. One problem pet owners often experience are the multiple meanings the term small dog kennels can be used to define. 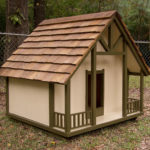 If you ask in a pet store you might be shown a dog house or gated enclosure you can construct for your dog. It is possible you might even be given a portable plastic or fabric carrier type housing for the dog. Looking at all the definitions of the term small dog kennel the key is to understand what your pet needs and find the type of product that fits your criteria. Most small dogs really shouldn’t be left outside for long periods at a time without supervision. Toy breeds especially should be housed indoors and only left on patios or small enclosed yards if you are around to watch over them. These little guys might think they are furious, but the truth is in a neighborhood dogfight your pet will not come out on top against larger breeds. And when you consider the other dangers like mean-spirited teenagers or fast-moving vehicles, it’s clear the outdoors isn’t safe for the small breed dog. If you build an enclosure type kennel it is a good idea to use a kit or hire someone to build it. You will want the enclosure to be made from a mesh type fence that will not only be able to keep your dog in, but will also keep anything intent on preying on your puppy out. An indoor small dog kennel is not a bad idea for your dog. An indoor enclosure will typically be either a wire or metal mesh cage or plastic or fabric extra large carrier. If you have ever walked into someone’s home and seen a dog in a cage-like structure it might strike you as cruel, but the truth is this can be a very safe and even comforting place for your dog. When you at work your pet might hurt themselves by jumping on furniture or sliding on smooth surfaces like the kitchen floor. Some dogs find their way into the garbage and find all kinds of nasty trouble, they couldn’t possibly digest. An indoor kennel keeps them out of these dangers better than simple barriers your bright little companion might find ways to get around. The indoor kennel can also be used to help curb excessive barking whenever you are out. 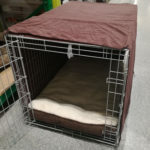 Place the kennel someplace where the dog will be comfortable, but will not be subjected to suspicious sounds like outside pet noises or people walking near the door. A large fabric or plastic kennel can work great while traveling with your pet. While he will need a smaller carrier for car rides, a larger one works well as a kennel for hotel rooms or while camping. He will be kept safe in roomy comfort while you go about your business. Always remember to place the small dog kennel where your pet will not get too hot or too cold. He will, of course, need water, and possibly a little food to snack on if you will be away more than a few hours. Toys are a good thought to relieve his boredom and it is also a good idea to line the bottom of the kennel with newspapers or housebreaking pads. There are two types of invisible fences, one that delivers a very small electric shock and the type that make a sharp unpleasant sound that will redirect your pet away from leaving a certain area. This might sound cruel, but if you want to let your dog play in outside during times when you can’t supervise him, it might be the best way. There are drawbacks to link or wooden fences, especially with certain breeds. Jack Russells, Toy Fox Terriers, and Rat Terries can dig under even a buried fence in no time. Westies, and Scotties also originally bred to dig and hunt for vermin can find ways through even small cracks you might not even notice in an examination of a wooden fence. If a dog can get out through a fence, he faces the dangers of the neighborhood without you even knowing he’s out. A small invisible dog fence is easy to set up and fairly simple to use. When your dog is out of doors, he wears a collar. When your dog approaches the perimeters of the fence his collar will start beeping. If he keeps venturing too far he is given a small electrical shock from the collar that will startle but not hurt him. After a few seconds, if the dog doesn’t move away from the edge of the yard, another small shock is delivered. Almost all dogs understand the situation very quickly and learn when they hear the beeps, they need to turn back. 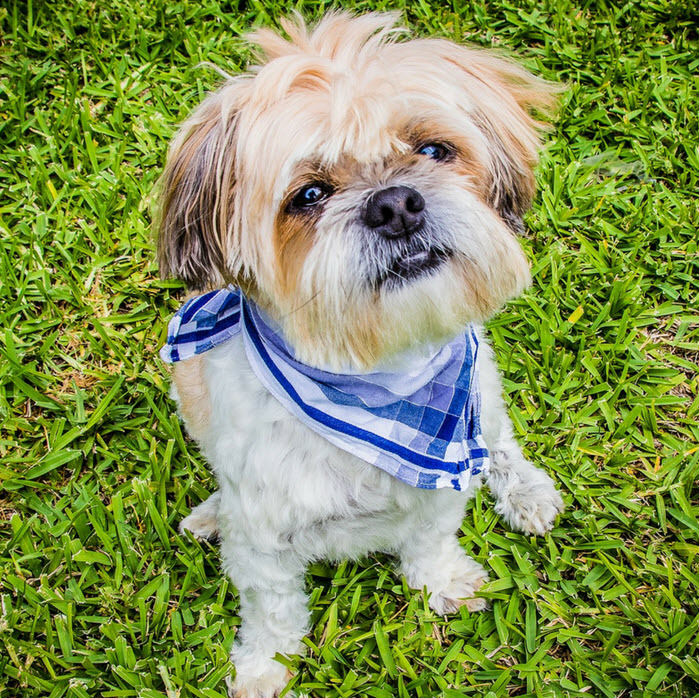 A small dog invisible fence can be set up temporarily or the electronic units that deliver the warning and charges can be permanently set up in your yard. 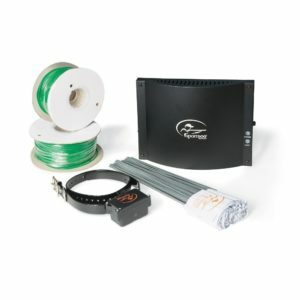 Portable electronic fences can be great if you plan to go camping, and you are afraid your dog might slip away unnoticed. There are brands of invisible fences that run on batteries that work well for this type of purpose. There are small versions of invisible fences that can work indoors to keep your dog from venturing into areas of your home where he might get hurt or damage property. In situations where you do not want your curious dog to find his way upstairs where he might fall this would work to keep him safe even when you are not at home. It can also be set up higher to keep your dog from climbing up on the furniture and possibly injuring himself or destroying your furnishings. While some might think electronic shocks of even measure are cruel, it comes down to keeping a small dog safe from his own instincts and nature that can endanger him.